The 14kt yellow gold Gardenia college ring features a marquise center stone adorned with four cubic zirconia or diamond side stones. Choose your degree, graduation year and school name. 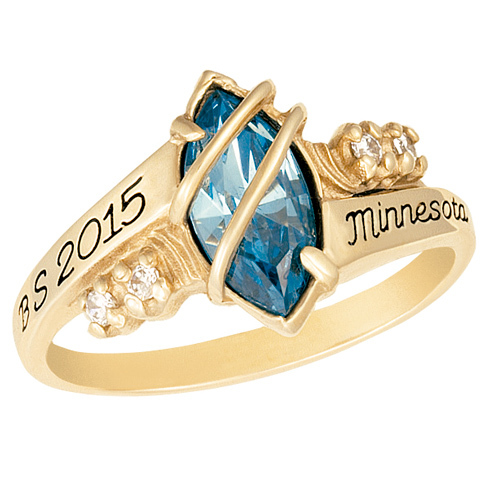 This ring is handcrafted in the USA by Gold Lance.